Many e-commerce businesses know the frustration of losing customers at checkout. Consumers are growing more cautious with spending, and as a result, many are thinking twice when it comes to finalizing an online transaction. Improvements in website design and payment portals can help businesses limit shopping cart abandonment, experts say. Some recommend establishing a Paypal alternative that can allow companies to accept credit cards through a processor that won't redirect customers to another website or inhibit a quick and easy payment experience. 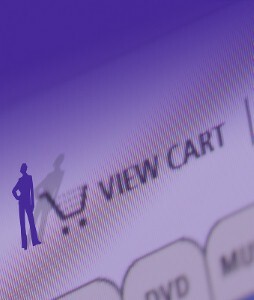 At the same time, data shows cart abandonment remains high. A 2010 study from Forrester reported a staggering 88 percent of web customers admitted to ditching their online shopping cart without completing a transaction. According to the research firm, that percentage was roughly in line with figures five years earlier, suggesting merchants are spinning their wheels when it came to developing a retention strategy. Even so, experts say there are ways merchants can increase conversion rates. A unique, dedicated credit card processor can be the first part of the strategy, and businesses are also advised to talk to their merchant account manager about reports that can help them make more informed decisions. Multichannel Merchant reports consumers sometimes abandon their online shopping cart because they think they can find a better deal elsewhere. Online shoppers have become renown for their savvy and instinct to comparison shop on everything from product price to shipping costs. It's certainly a healthy shopping practice, but it can disadvantage merchants if they are not also doing their homework, according to Multichannel Merchant. Experts suggest merchants perform their own analysis to determine how they stack up to the competition with regards to pricing, customer satisfaction, shipping costs and other important metrics. That knowledge can help put businesses ahead of the curve and ensure that when customers decide to comparison shop, they'll eventually land on the company's webpage.